Tofu is a protein-rich food made from the extracted curd of soybeans and is an extremely versatile food, used in salads, main courses, drinks and desserts. It originated in China and was introduced to Japan in the 11th century. 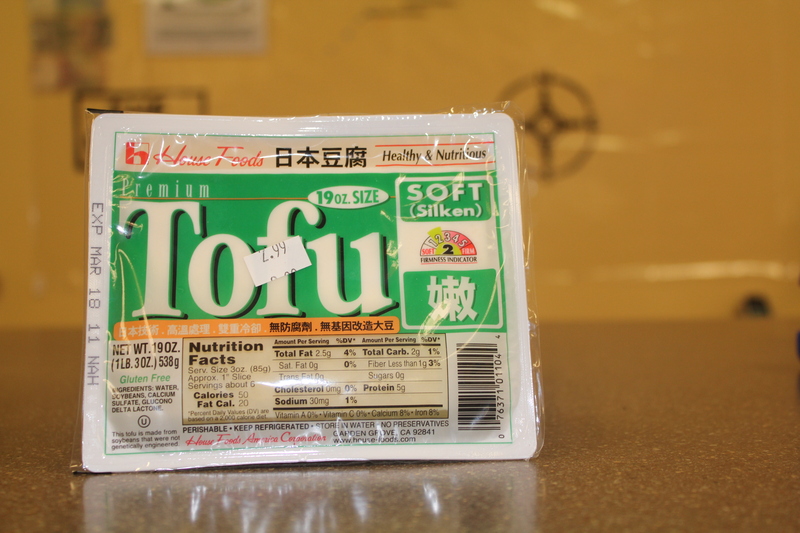 The Japanese word tofu comes from the chinese word doufu which means fermented, or curdled, bean. We hope you’ll enjoy the following tofu recipes. Cook onions and garlic in water or stock or vinegar until tender. Add marinated tofu and cook another 5-10 minutes. Stir in basil, chili pepper sauce and soy sauce and heat through. Serve over brown rice. – garlic powder 3/4 teas. – garlic salt 1 teas. – Marinate tofu in sauce mixture for one hour or more (preferably longer). Braise tofu by adding some sauce mixture in frying pan and lay pieces flat in pan and then cook. turn over half way through. Cook tofu until liquid is pretty much gone. Put it all together and eat. 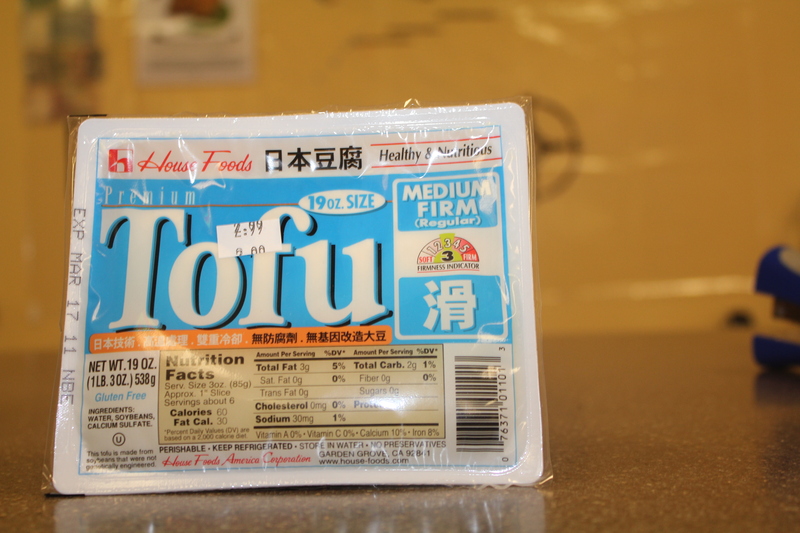 Slice the tofu into small rectangles of 1/4–1/2-inch thickness and place them in a shallow dish or baking pan. Mix together the ginger, sesame oil, garlic, tamari and water. Pour this mixture over the tofu and let it marinate for at least 30 minutes. (If desired, the tofu may be placed in the refrigerator to marinate for several hours or overnight). Remove the marinated tofu from the liquid, reserving the liquid to make the sauce. Place the tofu on a well-oiled cookie sheet and bake at 375 deg for 35-40 minutes, or until the desired crispness is reached (the longer the tofu bakes the firmer and crisper it becomes). To make the sauce, mix the arrowroot with the marinade. Place the mixture in a small saucepan and bring to a boil. Ginger Tofu may be served with or without the sauce. With the sauce, serve it over a bed of rice, millet, buckwheat, or pasta. Add your favorite stir-fried veggies and you have a colorful or nutritious meal. Ginger Tofu may also be added to a vegetable stew. Tofu, once pressed, grills beautifully. Slice the block of tofu in half, then slice each half into four thick slabs. Place a double layer of paper towels on a cutting board set over the sink. Arrange tofu in one layer on the cutting board, then top with a clean dishtowel. Place a second board on top, then a 4 to 5 pound weight, such as a thick phone book or heavy pot. Let press 20 minutes. Uncover tofu and place in one layer in a shallow baking dish. Drizzle with orange juice and soy sauce. Marinate at room temperature 20 minutes. Broil or grill over hot coals until lightly browned, turning once. Serve with Cold and Spicy Noodles. Melt margarine in pan and wisk in flour. Cool a bit and then wisk in wine and (soy)milk. Add onion, cloves, and salt to sauce and stir over low heat until sauce is slightly thickened. If it gets too thick, add some water. Add tofu and simmer while you cook the pasta. Serve tofu and sauce over pasta, giving the onion to the person who likes them more. Cut the tofu into 3/4-inch squares and marinate in citrus zest and juice; season with salt and pepper. Combine hoisin, rice vinegar, soy sauce, sugar and cornstarch; reserve for later. In a 12-inch skillet heat vegetable and sesame oils until very hot. Add garlic and ginger and stir fry for 10 seconds. Add mushrooms and broccoli, some water, cover and steam for 2 minutes or until mushrooms and broccoli begin to get tender. Add tofu. Stir hoisin sauce to recombine cornstarch and add to skillet. Cover and simmer 30 seconds to a minute to thicken. Season with salt and crushed red pepper.